Happy Mani Monday! It's the first of 2016, and these are my new Year's Eve nails. If you follow me on instagram you saw that I grabbed a handful of polishes, with no real ideas in mind and this is what I came up with. 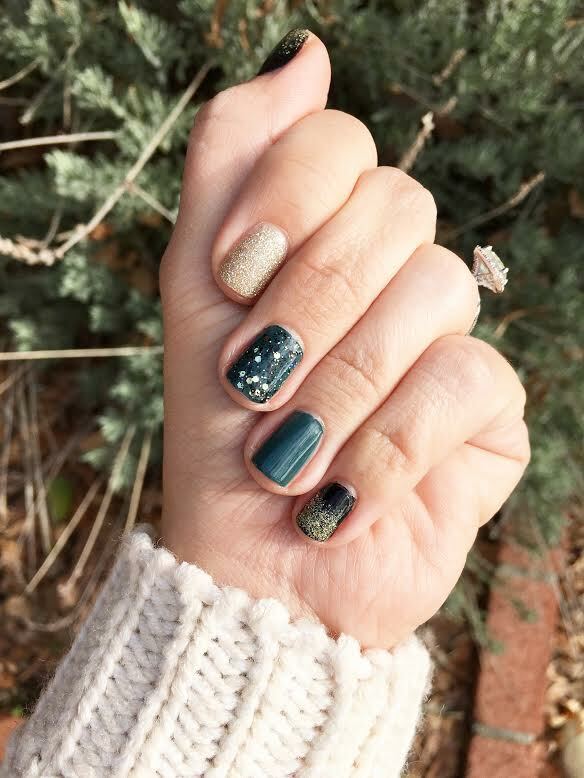 The black is Cleopatra, the greenish blue is Ryan and the glitter topper is Beatrix (all by Julep.) The super thick gold is My Favorite Ornament by OPI. What were YOU rocking this New Years? ?